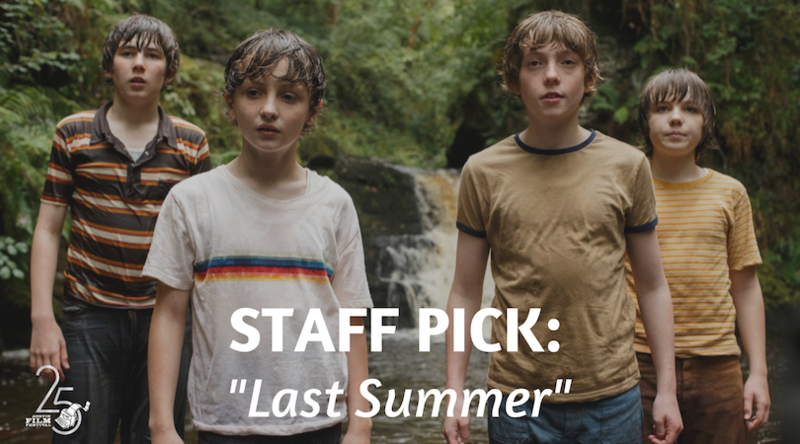 The opening of this film is reminiscent of Stand By Me, easing the audience in, following a group of friends as they explore the woods and the area around their rural home. We follow the boys as they enjoy their summer and pick on one another but very quickly there is a shift in tone and mood. The character development stands out most to me in this film. We see the main character transforms from the one everyone picks on to a clear leader. The continued shift in dynamics (both in the friend group and families) throughout the film services the story taking it to places I did not expect. The score/soundtrack is also notable, literally keeping me on the edge of my seat at climactic moments. Last Summer is not to be missed! Plus there is a really cute dog which of course of all us on AFF staff can appreciate!